Like every good story, there is suspense, intrigue, drama, tears, lots of love, and happy endings. I absolutely LOVE the part of my business that involves creating engagement rings for couples. Often the process begins with me getting a call from a sometimes nervous, but always excited, man telling me his plans to get engaged. I have the pleasure of learning where they met, how long they have been dating, and how and when he’ll pop the BIG question. Sometimes I feel like I’m conducting my own little research, as I gather data to help me in my quest to create the perfect WOW engagement ring. What is her style, what does she do for a living, do you know what shape center diamond she likes, has she dropped any hints about the ring, does she have a pinterest page? 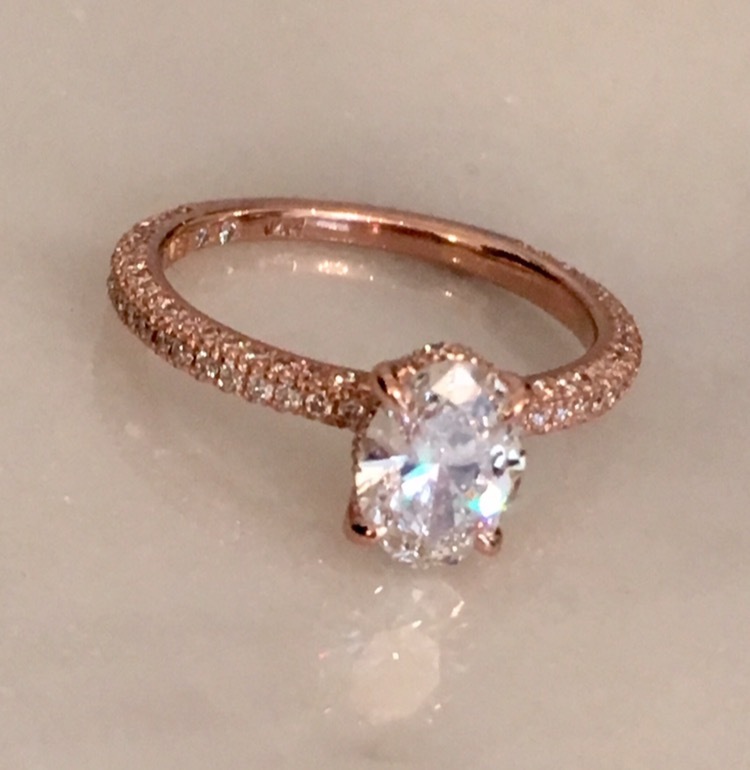 After hundreds of rings, I’ve gotten pretty good at listening, and asking the right questions, and nailing the perfect ring! 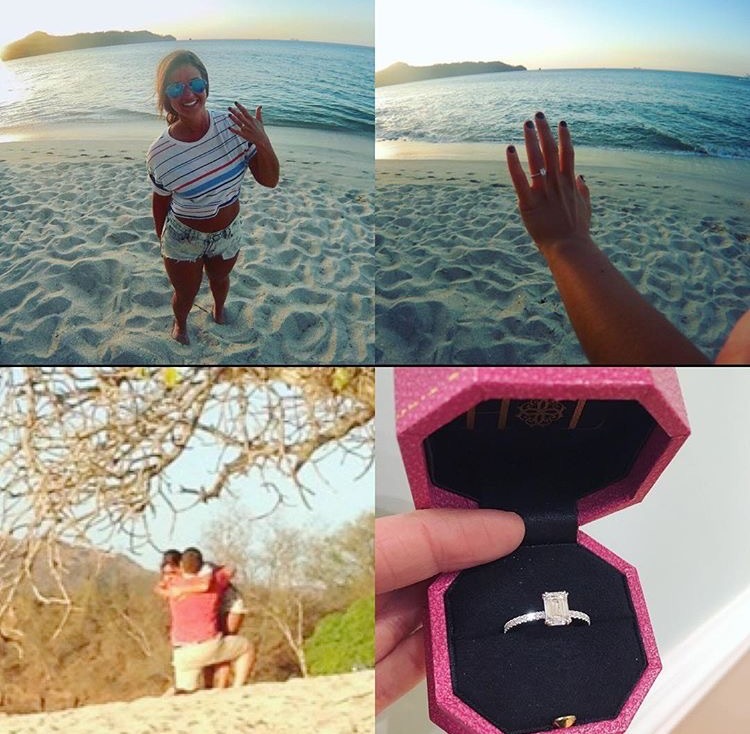 Here are a few fun non-jewelry related facts I’ve gathered over the years: more than half of my engagement couples have met online, no surprise there, most already live together, and a shockingly larger percentage are popping the question in tropical places, on a vacation, anywhere but where they call home. Most men get super anxious about the asking part, as they really want it to be special and memorable. Isn’t that just the sweetest? The engagement ring tells a compelling and enduring story, it’s about beginnings, it’s about hopes and dreams, it’s about the future, it’s about LOVE. I’m always humbled to be a witness to this special part of a couples love story. Diamonds are SO much more than their sparkle, but that sparkle is pretty rare and special too. *To maintain constant sparkle, keep your ring clean ladies! Contact me here for a complimentary ring cleaning. Hope you enjoy these pics of some recent engagements, and some of the stunning rings I created.